The talented cast members of Studio C have given us another funny comedy sketch to enjoy. Fellow family historians will no doubt appreciate the fact that these youngsters want to learn about their Grandma's life. What they are about to find out however, is that Grandma has some surprising secrets from her past. Click play and have fun getting to know Grandma. 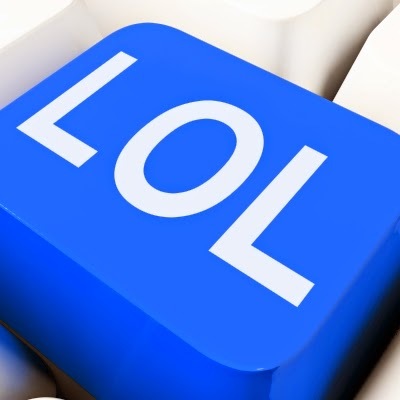 To watch more comedy sketches by Studio C, check out their YouTube channel by clicking HERE. A Note to my wonderful readers: I'm sorry, but Fab Finds will be going on another hiatus. My schedule is filled with many things in the coming weeks including family activities, church responsibilities, and final preparations for the class I'm teaching at our local Family Discovery Day in May. So, Fab Finds will be on hiatus for the next three or four weeks. If my schedule allows, Fab Finds will return on May 15. Otherwise, it will resume on May 22. Thank you! Crestleaf.com is hosting a contest. It's super easy and there are prizes involved, so yay! Participants are invited to share a family photo and then ask their readers to reference the photo and guess the family's heritage. I tried to find a photo that I haven't shared on my blog before. I found one, and here it is. 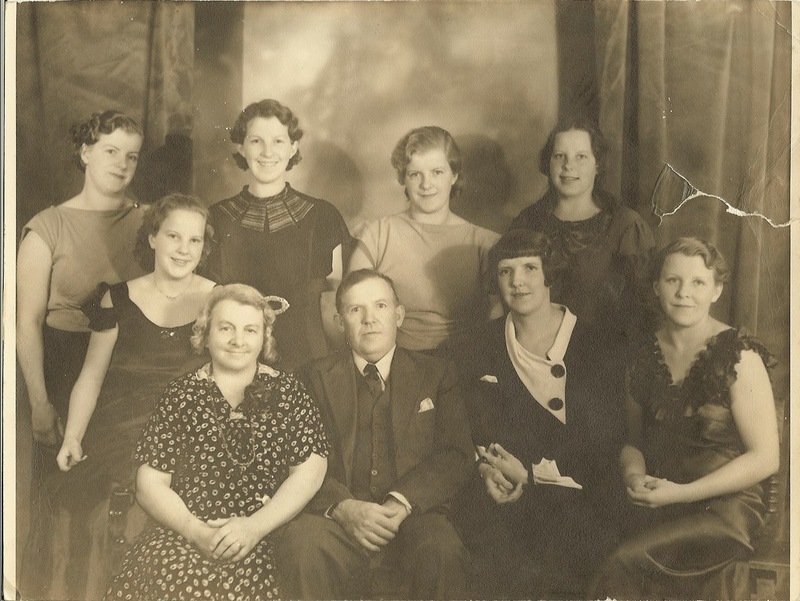 So...any guesses about this family's heritage? If so, please leave them in the comments below. If you'd like to participate in this contest, please click HERE to find out more about it. Hello my wonderful readers! As promised, Fab Finds is back from its two-week hiatus. I was able to finish and order my blog book by the March 31st deadline so I could take advantage of the 20% off sale. 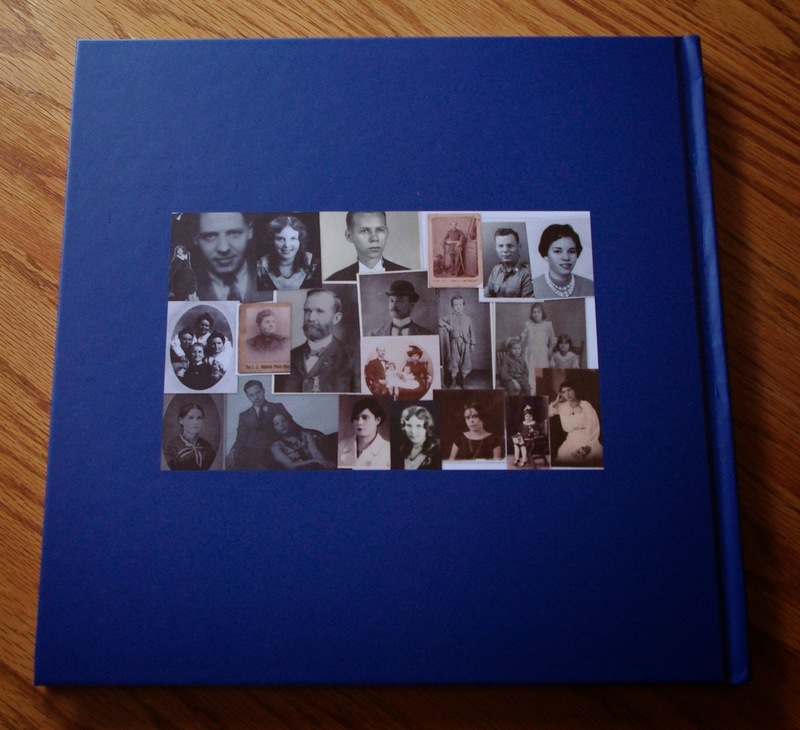 My book has already arrived and I'm very pleased with it. Blurb did a great job. I was also able to complete my syllabus for the upcoming class I'm teaching at our local Family Discovery Day in May. This week's Fab Finds post contains blog posts from previous weeks as well as from this week. A GoFundMe account has been set up for Cheri and her family. Several genealogy bloggers have shared this on Facebook. If you can help at all, it would be wonderful and very much appreciated. Thank you! GoFundMe Account link ~ The Passey's need your love! 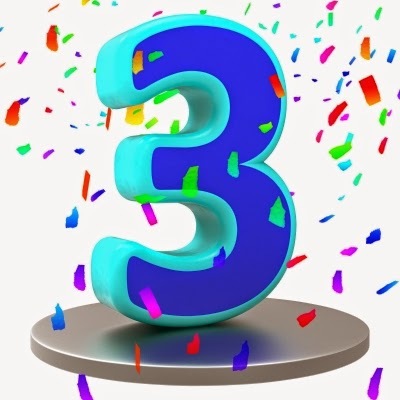 Yesterday, April 5, 2015, was my blog's 3rd blogiversary. I can't believe I began this blog three whole years ago! Where has the time gone? First of all, I would like to thank all of my wonderful readers for following along with me in my family history research. I appreciate you reading my blog posts. I also appreciate your comments and sharing my blog posts on various social media sites. Thank you! A lot has happened since April 5, 2014. I shared some of these events here on my blog. 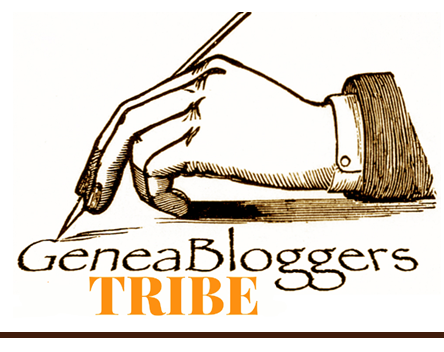 On August 12, 2014 I announced the exciting news that I became part of the new "May I Introduce To You" (MIITY) team at GeneaBloggers. We have a fabulous team and it's wonderful working with them. Thomas MacEntee introduced the new team members on his GeneaBloggers website. On September 3, 2014, I shared the wonderful reason I added another name to my genealogy database. Our second-oldest son got married to a beautiful young woman. She's awesome and we're so happy she's now part of our family. 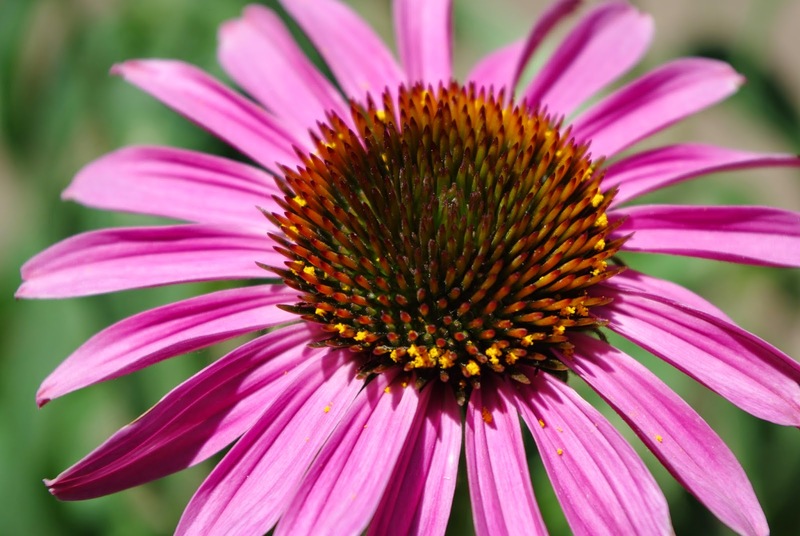 On November 3, 2014, I told you about the fabulous surprise I received in an email. A gentleman named Carl found me because I'm a contributor on Find A Grave. He had a copy of a letter written by my paternal 2nd great-grandfather, Iver Iverson, who served in the U.S. Civil War. Carl shared that letter with me, and I shared it in my blog post. On January 5, 2015, I shared the reason I added a sweet little leaf to our family tree. My husband and I became grandparents for the first time in November 2014. Our daughter and son-in-law welcomed a sweet little baby boy into their family. He's so adorable! On January 26, 2015, I shared the exciting news about a new cousin connection. This cousin lives in Brazil and is a very close cousin that our family knew nothing about until he contacted me. 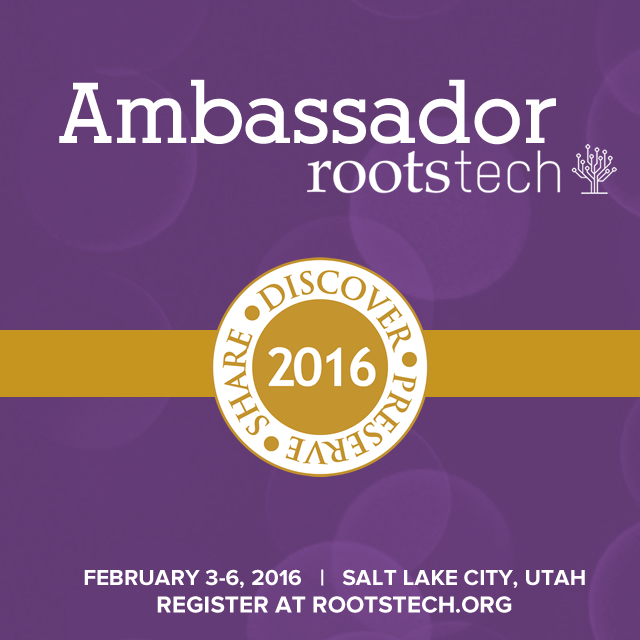 On January 13, 2015, I told you about how my blog and I were mentioned and quoted in an article on the FamilySearch Blog. I was so surprised by this and still am. 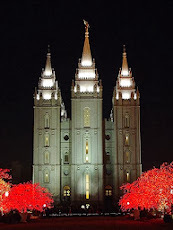 It also turns out that this same article was published in an article in The Church News on January 16, 2015 on lds.org. On March 31, 2015, I ordered my first blog book for this blog. I got an email today saying that it has shipped! Yay! The book covers the first three months of my blog: April - June 2012. I wrote about my blog book and shared some pages from when my book was a work in progress in my blog post Fab Finds on a Brief Hiatus. As I've done with previous Blogiversary posts, I'm sharing some of my blog stats again this year. I'm only sharing the stats from Google Analytics though. These statistics are for the year April 5, 2014 - April 5, 2015. 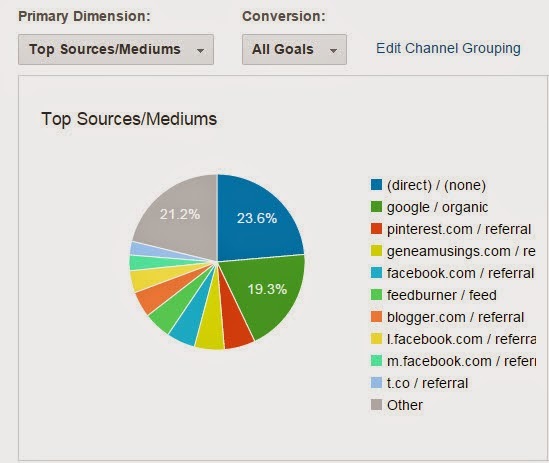 "Source/Medium describes where your traffic comes from. The Source is the place users are before seeing your content, like a search engine or another website. The Medium describes how users arrived at your content." "The sources which referred traffic. Includes sources identified via utm_source." 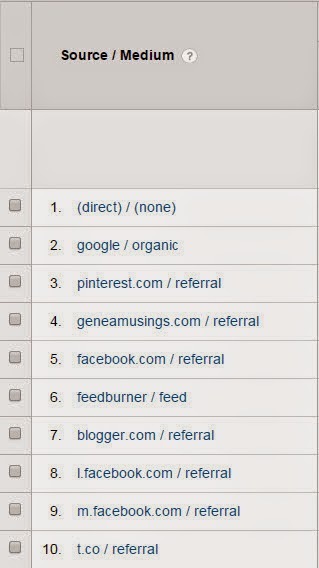 It's so interesting to me that Pinterest is one of the leading referring sites for my blog. 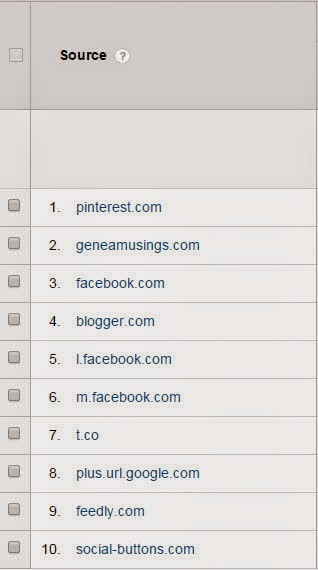 If you haven't used Pinterest yet for your genealogy blog, I highly recommend you give it a try. 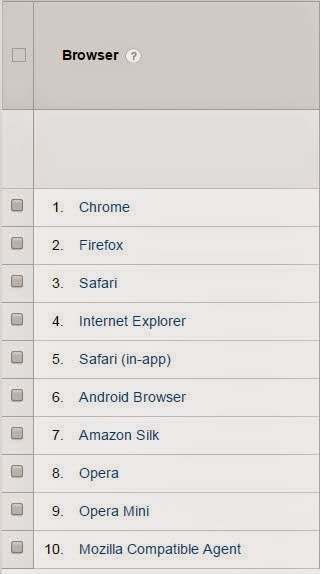 Did you know that Google Analytics can even tell you the top ten browsers your readers use? I found this information in the Technology section. 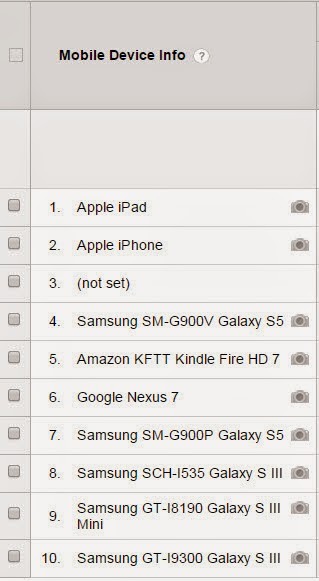 And from the Mobile section, here are the top ten mobile devices used by my readers. 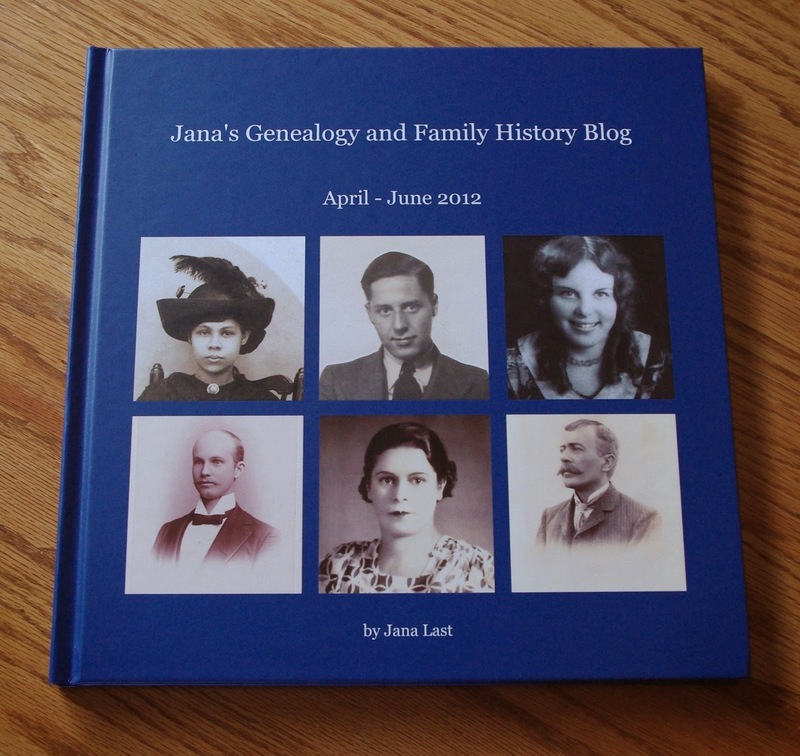 Thank you again to my family, friends, fellow genealogy bloggers, and anyone else who takes the time to read my blog posts, leave comments, and share my posts on social media. I appreciate it so very much. As Easter approaches, I'd like to share this very special video with you. It's called He Lives - Celebrate Easter Because Jesus Christ Lives. I hope you enjoy it as much as I do. I'm so grateful for Jesus Christ. I know He is our Savior and Redeemer. I'm thankful for His kindness, mercy and love. And I'm grateful for His atoning sacrifice and for the Resurrection.